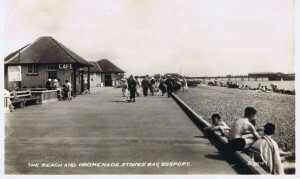 In 1922 Gosport Borough Council’s Unemployment Grants Committee considered building concrete huts and a refreshment room at Stokes Bay. In 1923 the Finance and Parliamentary Committee authorised the borrowing of £520 for the project. 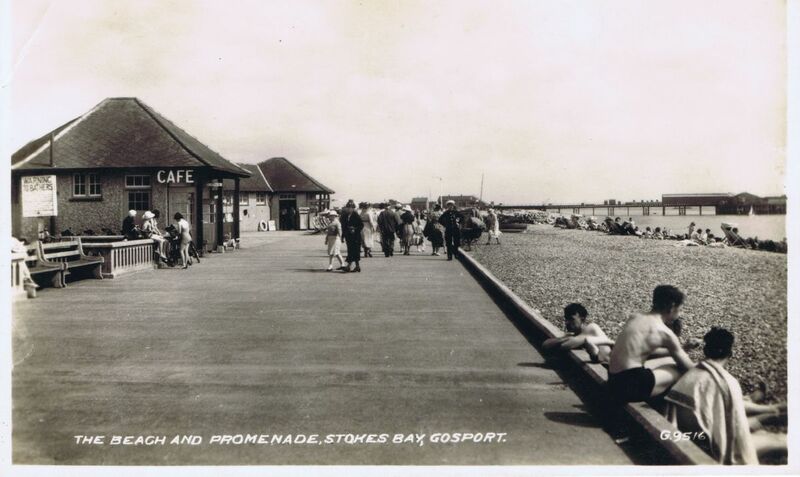 It was constructed as a Bathing Station and Restaurant close to the promenade, east of where the present day Bistro and Pebble beach cafe stands. 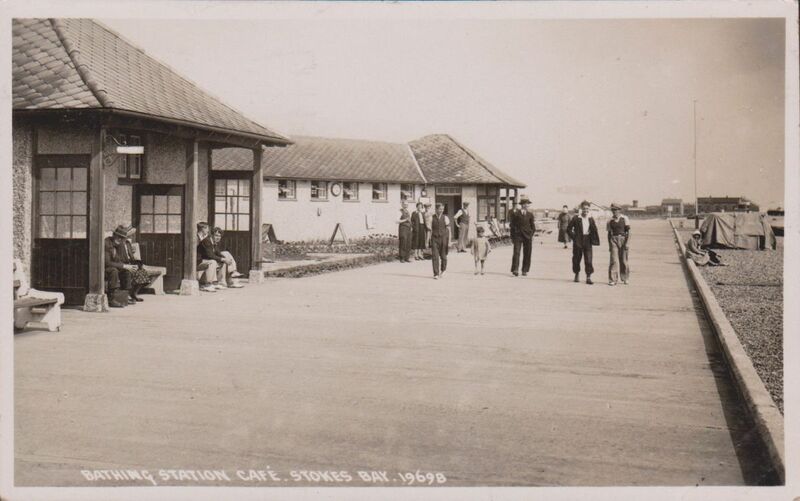 The D Day Command Centre, now the Stokes Bay Sailing Club, was built to the west of the Bathing Station in 1943. The Bathing Station in 1951. The D Day Command Centre is to the left (west). The Bathing Station had a small cafe and shop which sold the usual souvenirs and postcards. It had some changing cubicles and outside were benches to sit on. 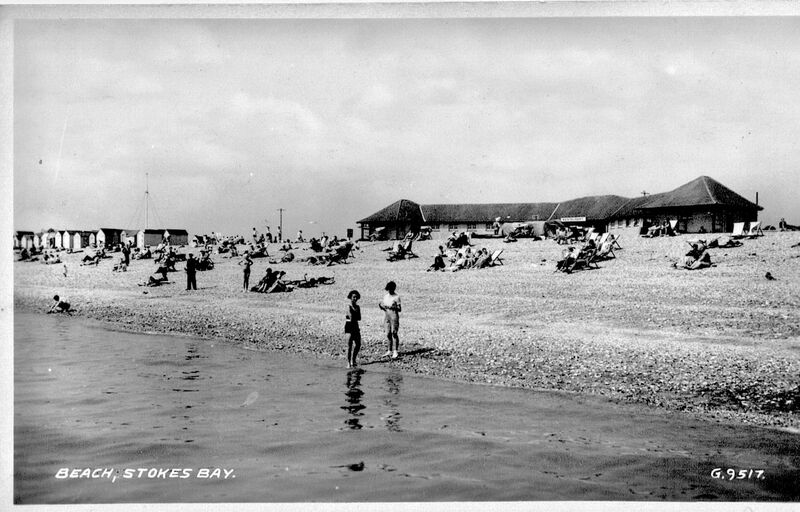 It was opened from 4th August 1923 with a charge of 4d per person for use of a cubicle. Male and female attendants were employed. In 1924 18 tables and 72 chairs were provided for the restaurant. 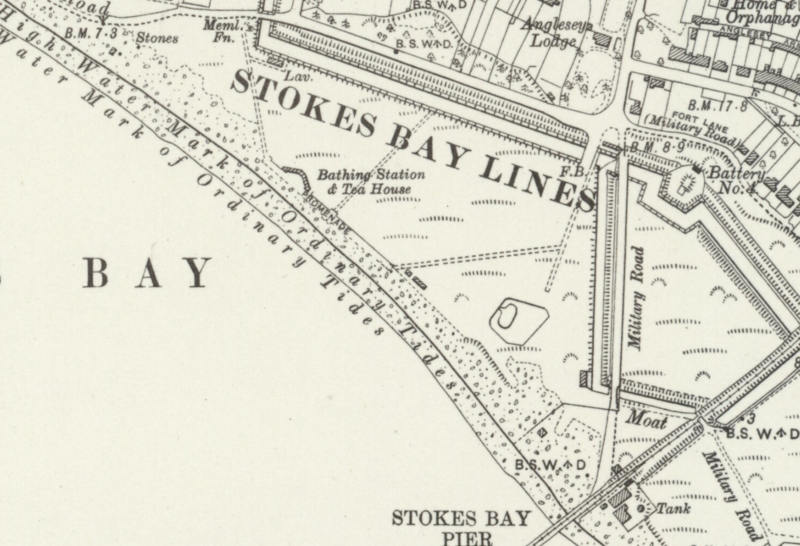 In 1928 the Open Spaces and Watch Committee authorised the laying on of gas for a geyser, stove and lights at Stokes Bay Bathing Station and Restaurant which was leased to P. Davis. 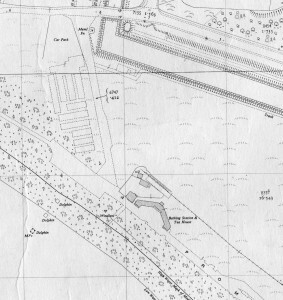 It was also proposed to erect a waterproof clock in front of the Bathing Station Restaurant at a cost of £25.During World War Two, in June 1942, the Bathing Station was requisitioned by the Admiralty for use as the Senior Hardmaster’s office, mess room and telephone room due to its situation close to D Day Hard G3. The D Day Control Centre was constructed next to it in 1943. 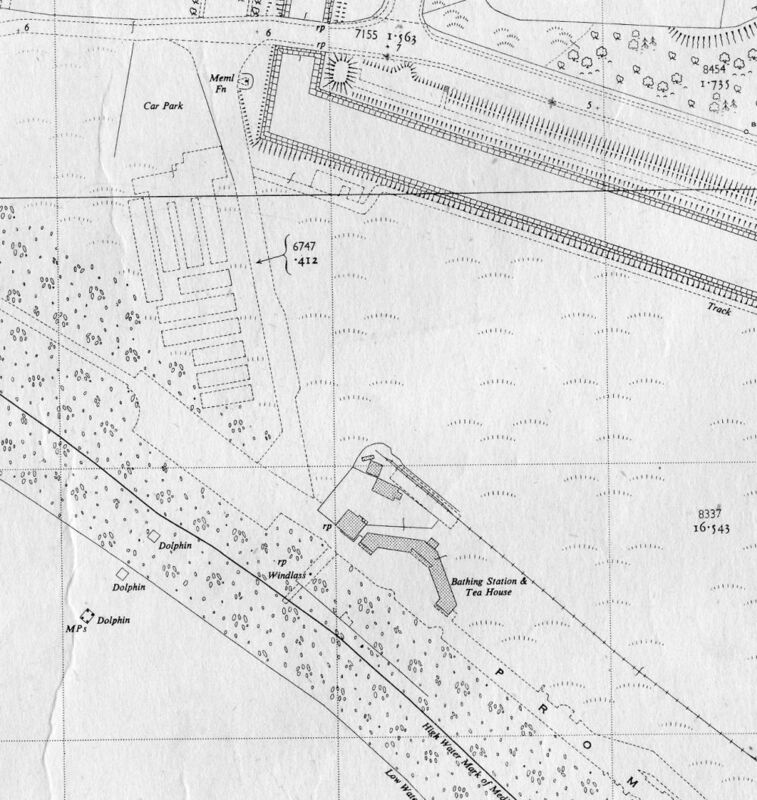 After the War the bathing station reverted back to its original use. In 1976 the Gosport & Fareham Inshore Rescue H.Q. 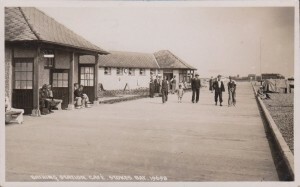 moved in to the former bathing station.Shortly after it was demolished and a new cafe was built west of the Sailing Club headquarters (the old D Day Control Centre). Today the new toilet block stands partially on the site and nothing of the old facility remains.